Published in Life & Health on 10/23/2017 by Harry Lew, Chief Content Writer. Averting one’s eyes has become a common strategy for agents operating in the individual health insurance market. That’s because so many of the unforeseen consequences of the Affordable Care Act (ACA) have been ugly. Agents have been marginalized. They’ve seen their commissions tank. And they’ve gotten trapped in the ACA’s bureaucratic morass. Still, tens of thousands of agents have persisted because they believe in the mission of helping their fellow Americans get and keep health insurance. As discussed in Part 1 of this series, health insurance agents have managed the revenue crunch by laying off employees and/or by reducing customer-support hours. Some have considered adding fees to the health-insurance purchase, even though the legal impact of that is cloudy. Finally, others have considered adding insurance products such as life, annuities, final expense, and Medicare-related health products to take up the slack. The last product category has great appeal because Medicare insurance—Medigap, Medicare Advantage, and Prescription Drug Plans—is poised to benefit from five hugely promising trends. Growth in the Medicare Population: According to the Centers for Medicare and Medicaid Services (CMS), Medicare Parts A and/or B covered 58 million Americans in 2017, an increase of 14 million since 2007, when about 44 million people were enrolled. Even though the baby boom demographic bulge is narrowing, about 2.5 million will enter the program annually, representing about 7,000 a day, says Colleen Gimbel, Vice President of Strategic Alliances, Berwick Insurance Group. What’s more, she says that by 2020, more than 13,000 people a day will turn 65, and the total Medicare pool by that point will attain 65 million. Looking further out, the AARP Policy Institute projects that the Medicare beneficiary population will reach 79 million by 2030, an increase of more than 100 percent over the year 2000. 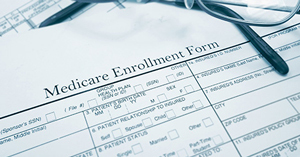 Many experts believe this will lead to a long-term spike in Medicare insurance sales. For instance, CGS Actuarial, LLC, a consulting firm in Omaha, Nebraska, expects total Medicare supplement in-force policies to grow from roughly 13.7 million today to more than 22 million in 2025. This represents an increase in new annualized premium from $4.5 billion in 2017 to $6.9 billion, as well as a hike in average premium (from $2,230 to $2,241) and in percentage of Medicare beneficiaries buying the product (from 23.2 percent to 29.8 percent). If you consider future growth in consumers purchasing other Medicare products (Medicare Advantage and PDP), it’s hard to deny that the demand for these products is not only substantial today . . . but headed even higher. Continuing Growth in Healthcare Expenditures: Most experts believe healthcare expenses will continue to inflate for decades to come. According to CMS, the nation’s health expenditures grew 5.8 percent in 2015 to $3.2 trillion, representing 17.8 percent of U.S. Gross Domestic Product (GDP). Meanwhile, Medicare spending has inflated 4.5 percent to $646.2 billion in 2015 or 20 percent of total America’s healthcare budget. As if that weren’t frightening enough, CMS projects total health spending to grow at an average rate of 5.6 percent per year from 2016 to 2025, or 1.2 percentage points faster than GDP growth over the same period. Longevity/Morbidity Experience: It’s well known that Americans are living longer than ever. And those that survive into their 80s and 90s tend to develop more chronic illnesses. For example, according to CMS, a 2010 study of Medicare beneficiaries revealed a high prevalence of chronic conditions, including high blood pressure (58 percent of the pool), high cholesterol (45 percent), heart disease (31 percent), arthritis (29 percent), and diabetes (28 percent). What’s worse, CMS found that more than two-thirds of Medicare beneficiaries (or 21.4 million people) had at least two or more chronic illnesses, further increasing their medical costs and Medicare claims. Rising HealthCare Expense Burden: Given the numbers just cited, is it any wonder that the average retiree is scared silly about how much his or her future healthcare will cost, even with Medicare coverage? According to a study conducted by HealthView Services, developer of healthcare cost-projection software, a 65-year-old couple that retires in 2017 will face total healthcare costs of $607,662 in future dollars. This assumes the man lives to 87 and the woman to 89 and that together they have a modified adjusted gross income of under $170,000. The cost projections are for their Medicare Parts B and D, their Medicare supplement premium, and their total out-of-pocket costs for things like dental and vision. “This figure may come as a surprise to those transitioning from the workforce who only pay (approximately) 25% of group-plan premiums,” the HealthView Services report states. “In retirement, Americans become responsible for 100% of their health care expenses, including premiums, copays, deductibles, and all other out-of-pockets.” Also concerning is the fact that HealthView expects the retirement healthcare inflation rate of 5.47 percent to exceed the average Social Security Cost of Living Adjustment (COLA) of 2.6%. This means retirees will see their medical expenses consume a larger bite of their gross Social Security income, leaving them with less disposable income year after year. Original Medicare Gaps and the Challenge of Filling Them: You probably know original Medicare is far from the ideal health insurance plan. Yes, while original Medicare (Part A for hospital, nursing home, and hospice stays; Part B for doctors’ services, outpatient medical care, durable medical equipment, and other services), covers your clients’ healthcare expenses up to a point, it has no limit on out-of-pocket expenses. So if their medical bills for an illness soar above what Medicare allows, they’ll be on their own nickel. What’s more, Medicare Part A’s hospital and nursing home benefit imposes a deductible for each benefit period and co-insurance payments that increase with length of stay. And Medicare Part B levies a deductible, as well, along with making beneficiaries responsible for 20 percent of their costs after that. As you can see, determining how to fill the gaps, with what, and at what cost is not intuitive; entire books have been written on these trade offs. As you might expect, consumers look at their options, scratch their heads, and say, “Huh?” In fact, according to a 2015 study of 16,000 consumer calls to Medicare helplines by the Medicare Rights Center, determining when and to enroll in Medicare Part B can be especially vexing. So is understanding what’s covered under Medicare Advantage and figuring out how to manage rising drug costs under Part D. And that’s before someone figures out which of the five prior gap-filling options makes the most sense. It all creates a tremendous need for knowledgeable, ethical health insurance agents to help hundreds of thousands of Americans make sensible insurance choices. But here’s the problem. At a time when more people need help with their Medicare decisions, there are fewer agents left to help them. For one thing, the entire insurance sales/financial advisory business is getting grayer, with most agents being within five years of retirement and with no successor in place. For another, the health insurance market woes mentioned earlier have driven thousands of agents out of the market. Do you see where we’re headed? If you’re a health insurance agent looking to rebuild your business or a life agent wanting to add a new product to your portfolio, then consider selling Medicare related insurance plans. The data suggests tremendous sales and income opportunities. But don’t just focus on the quantitative case. Consider the satisfaction you’ll derive from helping America’s seniors stay healthy without going broke. Interested in learning more? Watch for Part 3 of this series, in which we’ll discuss how to enter the Medicare insurance market.